Meet the specific needs of the court and provide assurances that the total amount will be paid through our surety bonds in Fort Bend County. Once this distinctive type of bonding is required, the team at Speedy Gonzalez Bails Bond gets to work creating a bond that satisfies this threshold. Judges occasionally specify that the entire amount of the bond in question should be paid in the event a defendant fails to appear as required. These surety bail bonds are created by negotiating an agreement with a major insurance company. 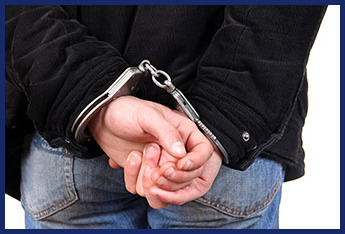 Our surety bail bondsman understands the best practices involved in writing such a bond, and we get this done as soon as possible. Take advantage of this type of bonding when you need to secure the release of a friend or loved one. Many business transactions are backed by a surety bond, and we can utilize this process in an effort to secure the release of someone who has been charged with a crime. Being considered a flight risk can make this approach all the more important. Gain the release of a particular defendant who may be considered a flight risk through our process for surety bail bonds. A history of past wrongdoing may cause the court to insist on additional assurances. A surety bond requires that the full amount be paid in the unlikely event that a defendant fails to appear for their next court date. When your loved one is facing the prospect of a conviction and the loss of their livelihood, you need a bondsman that has a variety of tools at their disposal. This approach to bonding allows you to gain your loved one's release even in the most difficult of circumstances. Work with a surety bail bondsman that has the experiences and resources needed to make a difference. We have worked with a broad array of clients in a variety of legal predicaments, and this gives us an edge when it comes to securing the freedom of the defendant in question. Don't let anyone remain in jail longer than they have to, just because you don't understand the complexities of the bonding process. Start a conversation with one of our agents as soon as you possibly can, so we can provide you with actionable solutions. Our team also helps you in establishing other types of bonds, including appeal bonds and cash bonds. Contact us today and get the surety bonds you need from an agency that accepts all major credit cards. We proudly serve clients in Fort Bend County, Sugar Land, Richmond, Katy, Fulshear, Rosenberg, and Missouri City, Texas, and surrounding communities.